With USA Basketball’s annual minicamp in full swing, some of the NBA’s greatest players have converged on Las Vegas to prepare for next summer’s FIBA World Cup and a gold medal quest in the 2020 Olympic games. 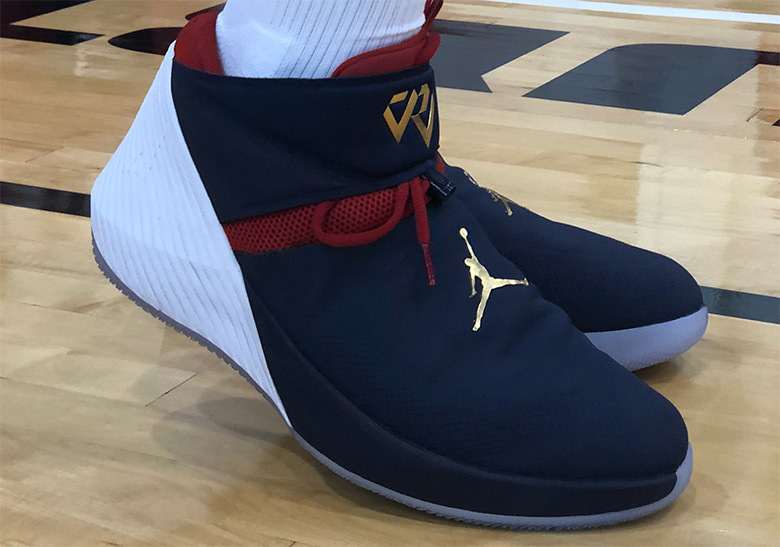 Of course, whenever the NBA’s elite converge, you’re bound to see some special footwear and the members of the US National team certainly didn’t let us down, as a great portion of the team showed up sporting special-edition PEs or their newest signature footwear models. 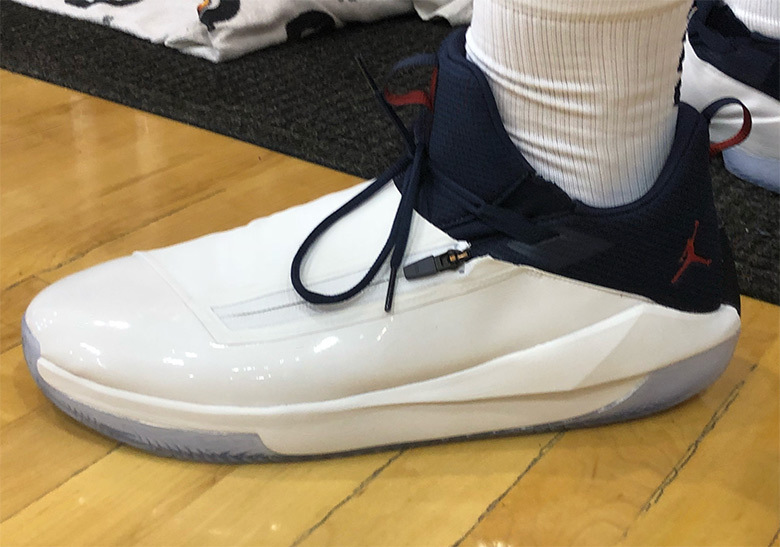 James Harden went with a brand-new pair of his addias Harden Vol 3 in grey. 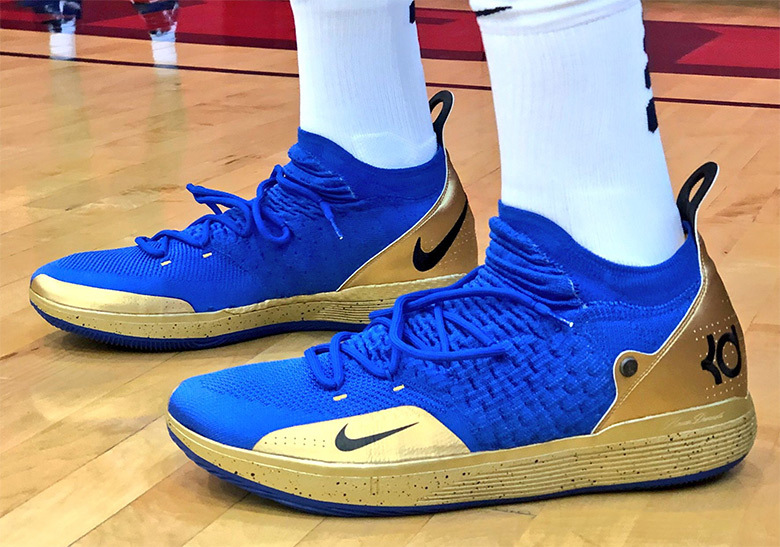 Kevin Durant brought out what was arguably the standout pair of the bunch with a royal blue and gold, Warriors-esque KD 11. 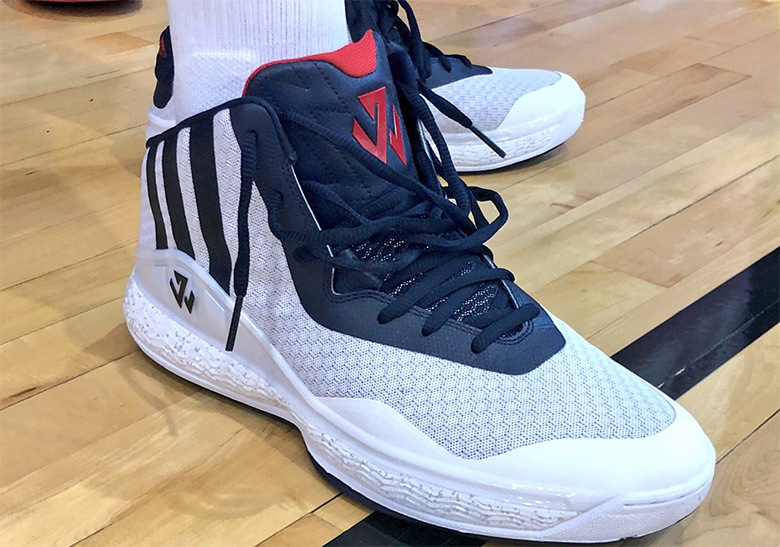 John Wall dove back into the archives and brought out the adidas J-Wall 1. 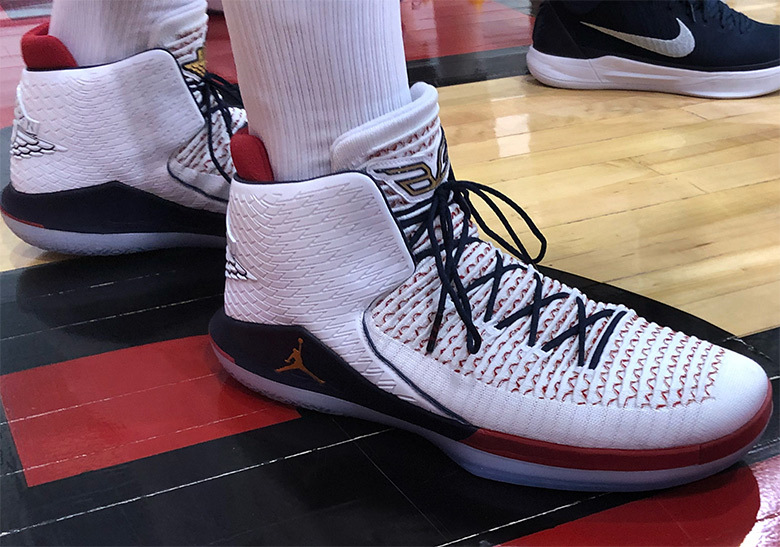 Blake Griffin and Russell Westbrook both repped the Jumpman, the former with a red, white, and blue Air Jordan 32 PE and the latter with a Team USA colorway of his Why Not Zer0.1 featuring gold detailing. 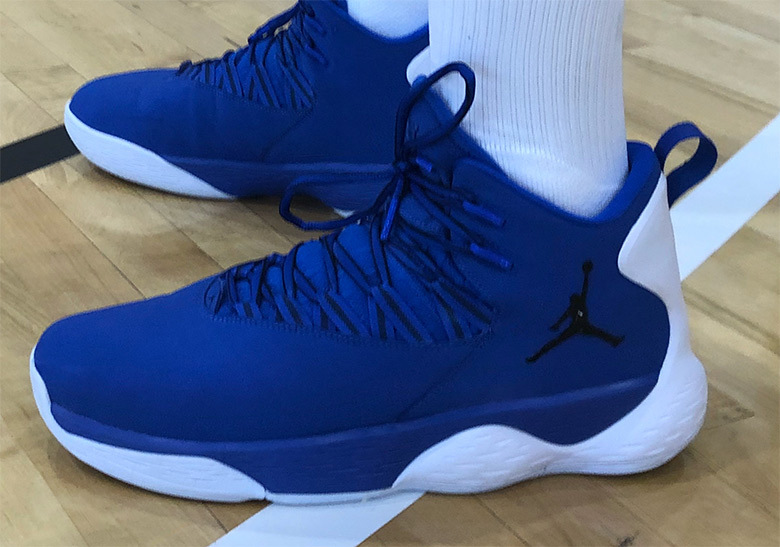 Other Jordan kicks were spotted as well: Andre Drummond sported a never before seen silhouette with a generous patent leather shroud and a medial side zipper, and Kemba Walker opted for a simple blue/white Jumpman silhouette. 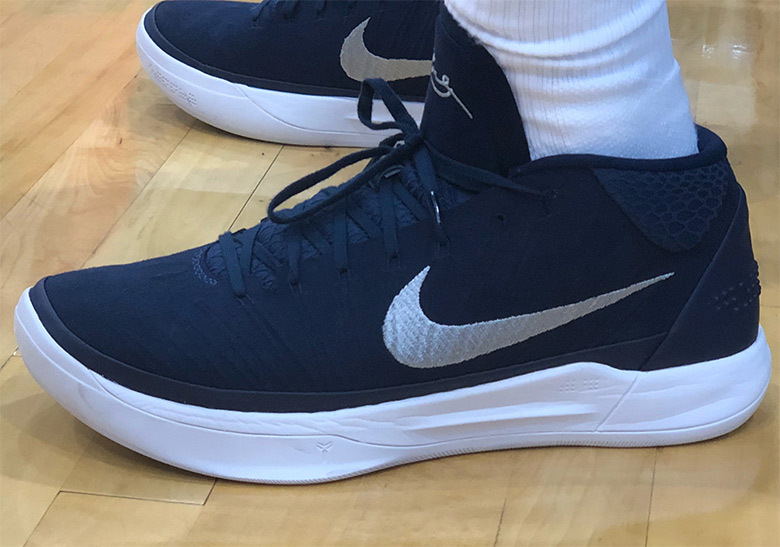 Rounding off the bunch was new Denver Nugget Isiah Thomas with a stately navy and white Nike Kobe AD. We’ll have to wait until 2020 to see how this talented squad will perform on the FIBA/Olympic courts … but it’s safe to say that no matter how the games go, the rest of the world won’t be able to touch their footwear. Enjoy a look at all the special kicks below, and be sure to let us know what pair is your favorite.